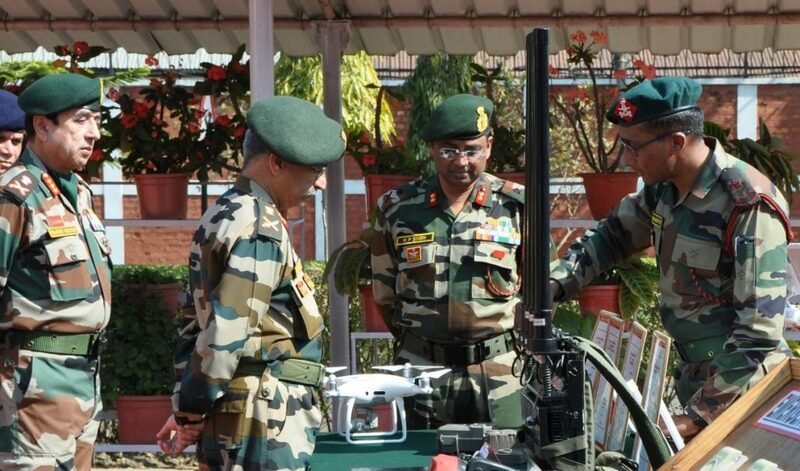 The Eastern Army Commander Lieutenant General M M Naravane who was on a three-day visit to Manipur visited Mantripukhari garrison of Inspector General Assam Rifles (South) on Wednesday. During his visit, the Lieutenant General was briefed in detail on the prevailing situation in Manipur and activities of Assam Rifles by the Inspector General Assam Rifles, Major General K P Singh. Appreciating the numerous initiatives being undertaken by the formation, the Army Commander Lt Gen Naravane directed that all energies must be focused towards assisting the state administration in bringing normalcy to the state. He also witnessed the innovations made in equipment used for surveillance and security and was highly impressed by the ingenuity and creativity of the troops. The Army Commander also visited the forward areas and carried out an aerial recce of almost the entire Indo-Myanmar border with Manipur. He appreciated the excellent work being done by Assam Rifles troops despite the harsh terrain conditions and exhorted them to continue to give their best for their unit, their izzat and their nation. Lt Gen left for Kolkata from Tulihal Airport in Imphal where he was seen off by Lieutenant General Rajeev Sirohi, GOC Spear Corps and Major General K P Singh, Inspector General Assam Rifles(South). On Tuesday, the visiting Army general called on the state Governor Dr Najma Heptulla and chief minister N Biren separately and discussed issues relating to the state.